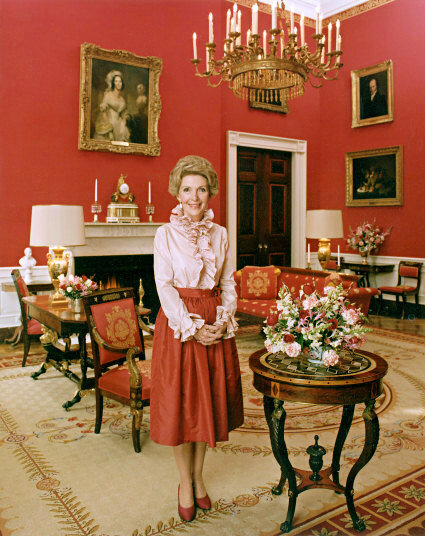 Former First Lady Nancy Reagan had the privilege of choosing the White House Christmas theme for eight consecutive Christmases. Her first official tree in 1981 was decorated with ornaments lent by the Museum of American Folk Art. However, for each following Christmas, Mrs. Reagan arranged for all the ornaments to be made by the members of Second Genesis, a drug treatment program in Washington, D.C., Maryland, and Virginia. Foil cones and snowflakes were made in 1982, and then reused the following year for the White House tree, which featured old-fashioned toys, lent by the Margaret Woodbury Strong Museum. In 1984, the tree contained all natural pieces crafted by the Brandywine Museum in Pennsylvania. To complement these pieces, Second Genesis contributed ornaments fashioned out of plant materials. 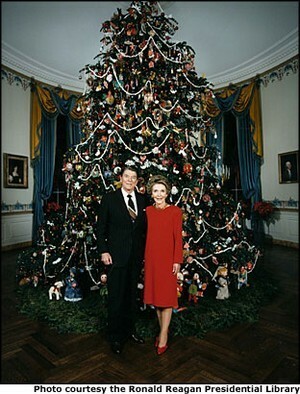 In 1985 the tree was decorated with 1,500 ornaments made from holiday cards sent to President Reagan the year before. In order for these many ornaments so be made, Second Genesis paired up with the Reagan’s Executive Residence staff. The team was so great together that they worked alongside one another the next three holiday seasons. Together in 1986, they made 15 soft-sculpture nursery rhyme scenes and 100 geese ornaments for Mrs. Reagan’s “Mother Goose” themed Christmas. In 1987, the “Musical” tree was trimmed in miniature instruments, sheet music, and notes. For Nancy’s final “Old-fashioned” Christmas tree of 1988, the White House carpenters created 300 wood candles to hang from the Blue Room tree. In addition to these pieces, Mrs. Reagan added hand-blown glass ornaments from the Eisenhower Administration along with Pat Nixon’s state flower balls of 1969. 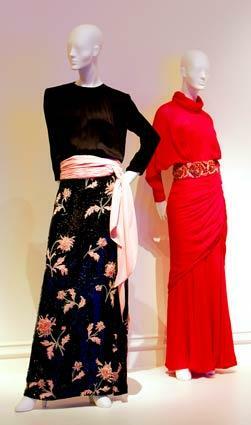 What do you think of Nancy’s style motif for the holidays?